After considerable economic recovery and growth from 2009 to 2012, the Zimbabwean economy is projected to grow by a meagre 0.4% in 2016. The slowdown is believed to be the result of the negative consequences of dollarization, the regime change in 2013, and poor fiscal and monetary policy. 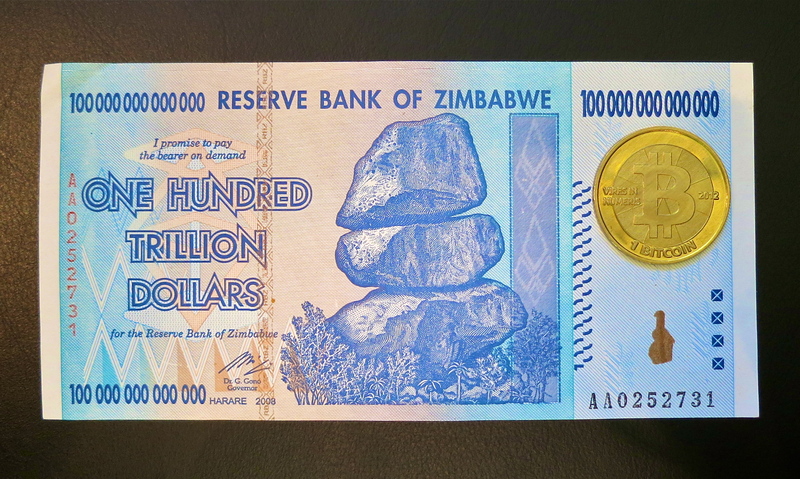 The Zimbabwean dollar experienced a staggering 79.6 billion % inflation in mid-November, 2008. A combination of Zimbabwe’s ineffective land redistribution policy, widespread corruption under Robert Mugabe, and the unrestricted printing of currency resulted in total economic collapse. The value of the Zimbabwe dollar began dropping after the controversial “Fast-Track Land Reform Program” (FTLRP), which was implemented in early 2000. The aim of the general land reforms was to acquire agricultural land from rich white farmers, and reallocate it to landless black farmers. However, the FLTRP led to violent land acquisition by government-backed groups who looted, killed, and exploited landowners in order to procure land. In turn, most of this land was allocated to politicians such as Mugabe, and Vice President Simon Muzenda, instead of landless farmers. The FLTRP is believed to have crippled agricultural production in Zimbabwe, once known as the breadbasket of Southern Africa. Large plots of farmland were cultivated using economies of scale in the previous system, and farmers had developed expertise in agricultural techniques. However, the sudden takeover, and arbitrary division of agricultural land left a vacuum of skills, and resources that devastated the sector. In the 2000/2001 fiscal year, there was a 25% drop in agricultural output across all sectors. Moreover, unbridled corruption under Mugabe’s thirty-year regime increased the government’s national debt tremendously. Fiscal deficits due to salary hikes for top government officials, especially during the 2000 intervention in the Second Congo War depleted Zimbabwean currency reserves. Thus, the cash-strapped government began printing its currency without monetary backing in order to maintain money supply in the market. This knee-jerk reaction resulted in a 231 million % annual inflation rate, raising poverty rates to more than 72%. Finally in 2009, the country decided to adopt a mutli-currency regime with the US Dollar, the South African Rand, the Japanese Yen, and five other currencies replacing the Zimbabwe Dollar. In broader economic view, dollarization, or the adoption of a foreign currency, is problematic because of the loss of a state’s control over its monetary policy. In Zimbabwe, this has led to a trade deficit as the US Dollar appreciated in value. The stronger US dollar has made Zimbabwean exports more expensive compared to neighbouring countries’. As a result, Zimbabwe’s trade deficit has grown from $400 million in 2006 to $2.5 billion in 2015. Moreover, many attribute the economic collapse to the reelection of President Mugabe with a full majority in 2013. From 2009 to 2012, Zimbabwe was run by the Government of National Unity (GNU), a coalition of Mugabe’s Zimbabwe African National Union – Patriotic Front(ZANU-PF), and the Movement for Democratic Change (MDC). During this period, the economy recovered, and recorded consistent, and incremental growth rates. However, with Mugabe back in power, Zimbabwe recorded an accumulative 37 per cent decline in revenue and GDP, and a rise in the fiscal deficit from 10% in 2013 to 30% in 2016. His election also resulted in an immediate increase in State expenditure to $4.8 billion a year, and employment costs to nearly 80 per cent of total revenue. A combination of such irresponsible fiscal policy, and imprudent monetary policy has resulted in a shortage of cash in Zimbabwe. According to the Zimbabwean, “the cumulative deficit of $2.5 billion between 2013 and 2015 was funded mainly by treasury bills which pushed domestic debt to nearly $6 billion”. However, the inability of the state to find buyers of Zimbabwe’s treasury bills has resulted in an evermore massive cash shortage. 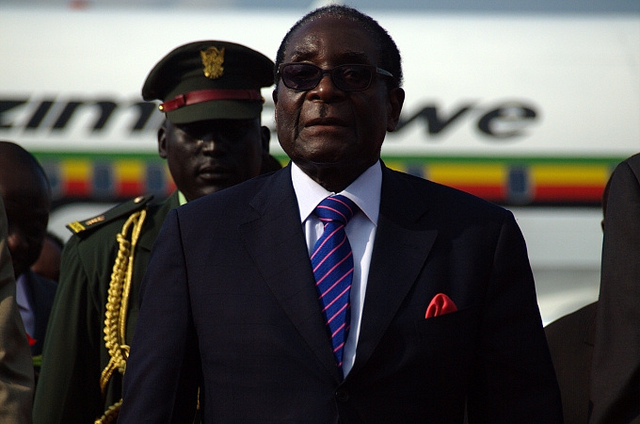 In addition, economic, and political grievances in the country have caused widespread protests throughout the country, demanding that Mugabe step down. Bond Notes: A Recipe for Hyperinflation? The government has decided to start issuing “bond notes” as a form of currency towards the end of this year to curtail the cash shortage. Equivalent to the US dollar in terms of value, the bond notes will be backed by a $200 million loan offered by the African Export-Import Bank (Afreximbank). However, many economic experts fear the immediate devaluation of the bond notes once they are released to the public. According to University of Zimbabwe economics professor Ashok Chakravarti, “within six months the bond note will fall to zero value”. He says that the new currency would create a black market for US dollars in the country. Speculative attacks are bound to occur because people will fear overprinting by the government, and aim to hoard US dollars. According to a cabinet minister, some have started printing fake bond notes even before the real ones are released. This not only reflects economic insecurity but also a trust deficit in the government. Unless the government exhibits fiscal, and monetary responsibility, it is unlikely that the bond notes will hold their US dollar value upon release. Some say there is only one way forward — Mugabe has to go.